Vincent Makori is the anchor of Africa 54, Voice of America’s daily TV program for Africa. He also serves as a producer and writer for Africa 54. Vincent is a versatile journalist with 20 years of experience, working in Africa, Europe and the U.S. He has been at VOA for more than 11 years. Vincent has covered a wide range of stories including the Africa Union Summit in Lusaka, Zambia, The U.N. General Assembly in New York, International Trade and Technology Fairs in Berlin and Hanover Germany. The International AIDS Conference, in Mexico City, Mexico, and the G-20 Summit in Pittsburgh, Pennsylvania. He has interviewed people of all walks of life, including high ranking officials and presidents, among them, former U.S. President George W. Bush, President Bingu wa Mutharika of Malawi, former President of Ghana John Kufuor, President Ifikepunye Pohamba of Namibia ; Noble Laureate Wangari Maathai and academic luminaries like Professor Ali Mazrui. He holds a post-graduate degree in mass communication from the School of Journalism of the University of Nairobi and a Bachelor of Arts Degree, majoring in English Literature from Moi University, Kenya. 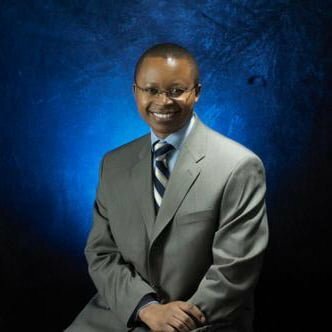 He has attended numerous training programs in journalism, in Kenya, Germany and the U.S.
Linord Moudou is the producer & host of the Africa Health Network on Africa 54. She also produces and hosts Health Chat on the Voice of America radio, a live call-in program that addresses health issues of interest to Africa. 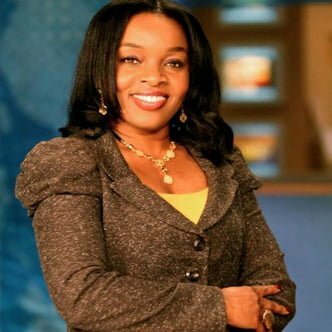 She started her career with Voice of America television as the producer & host of Healthy Living, a weekly health news magazine covering African health issues including malaria, TB and HIV/AIDS. She also shared new discoveries and medical breakthroughs, and provided tips and advice on how to prevent diseases and live a healthier life. Before joining VOA, Linord worked as a broadcast and print journalist, traveling between Africa, Europe and the United States. In 2000, she created, produced, and hosted “Spotlight on Africa,” a bilingual (French-English) television and radio program on Public Access Television and New World Radio in Washington, D.C. With “Spotlight on Africa,” Linord dedicated herself to promote a more positive image of Africa internationally, through information and entertainment. Her print experience includes “Africa Journal,” a Corporate Council on Africa publication, and AMINA Magazine, a Paris-based magazine about women of Africa and the Diaspora. Linord Moudou was born and raised in Côte d’Ivoire. She holds a Bachelor of Arts degree in journalism and media productions from George Mason University, and a certificate in television and radio productions from the Columbia School of Broadcasting. The veteran broadcaster is fluent in French, English and conversational in Spanish and Creole. 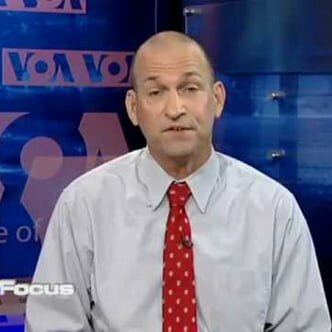 Sonny Young is the host of the VOA’s Sonny Side of Sports radio show. Sonny brings his enthusiasm for sports to Africa 54 every Monday and Friday on his Sonny Side of Sports television segment. During his 25 years at the Voice of America, Sonny has covered some of the world’s most popular sporting events, including the Olympics, the World Cup football tournament and the World Athletics Championships. Sonny’s love of sports, though, goes beyond coverage of the various competitions. Growing up, he ran cross-country and played baseball, basketball, soccer, and American-style football. Sonny has also completed three marathons. Sonny holds a Bachelor of Arts degree in English from the University of New Hampshire. He lives in a Washington D.C. suburb with his wife, Suzanne, and sons Jesse and Alex.